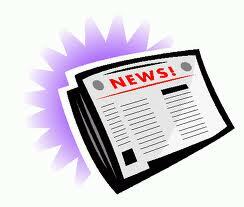 M and I put our brains together to think of the top stories from this past year. It was tough to narrow it down to 10, but we think these are the most impactful happenings of the year- good, not so good, and entertaining. Special thanks to B.A.F.F.L.E.D. supporter, Courtney for the countdown idea. Let us know what you think! 10. The Haiti earthquake and the world's efforts to help. Early this year, the Caribbean nation was struck by a terrible earthquake. Many celebrities put together fundraisers and benefits to assist citizens, but there is still much to be done. Check out Fashion Delivers and Hope for Haiti Now to continue helping the cause. 9. 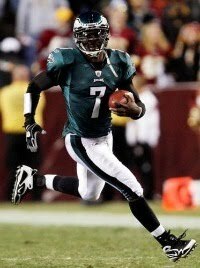 Michael Vick makes a successful comeback to the NFL. I don't think anyone condones what Michael Vick did a number of years ago (and I won't remind you here), but it is good to see him back doing his job and doing it well. He and the Philadelphia Eagles have been having a great season, and have been led by Vick's incredible leadership and offensive performances. If they can keep it up, they might just make it to the Super Bowl, and even the president agrees! SB 1070 polarizes the nation: Arizona — and Gov. Jan Brewer — exploded onto the national stage with the signing of SB 1070, the controversial legislation that makes it a crime to be an immigrant in the state without proof of citizenship. We’ve now become a model for other states to emulate as they struggle with the costs of illegal immigration, even as we were demonized and boycotted, and the federal government challenged the law in court — an ongoing battle. Anecdotal evidence of Hispanics fleeing Arizona and the denouncement of SB 1070 by law enforcement and religious leaders have fallen on deaf ears. Meanwhile the key architect of the law, Mesa’s Russell Pearce, was rewarded with the role of state Senate president, and the stage is set for more proposals to combat illegal immigration, such as his assault on the view that the 14th Amendment to the U.S. Constitution protects children of illegal immigrants from deportation. This controversial legislation raised a national debate about what immigrants we treat differently and how we will deal with the issue in the future. On a related note, the non-passage of the DREAM Act coupled with the rising Latino majority looks to be a hot button issue in 2011 and beyond. As many people may not be aware, the two Koreas are still technically at war, and the actions of North Korea in late November illustrated that pretty clearly. The question remains: was North Korea's aggression a mistake? A way to get attention? Planned from the get go? North Korea, despite what they may say, is a very poor country and can ill afford to make any more enemies. Who knows what the future will bring between the two Koreas, but it will be interesting to see the upcoming regime change and how that will affect future diplomatic relations. 6. 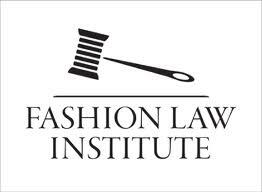 The Fashion Law Institute debuted at Fordham Law School in NYC. The Fashion Law Institute is the first of its kind, and the long awaited incarnation of many fashionista esquires. The Institute will give designers and design students the services they'll need to be legally sound in the fashion industry. Fashion law students will be trained to provide counseling and assistance on topics ranging from trademarking to brand licensing, located right in the midst of Manhattan's Garment District. I'm so happy about this one! 5. LeBron James "took his talents to South Beach". 4. Copyright for fashion designs advances further than ever before with Senate Bill 3728. After so many attempts over the last 5 years to get copyright protection for fashion designs, efforts have made the most progress this time around. Strong efforts have been made to create specific, yet creativity-driven legislation, in order to protect young designers without restricting economic opportunity. We are still awaiting the final outcome on this one and will keep you posted! Good for democracy or bad for security? Everyone else has written, talked about or condemned the actions of Wikileaks and its frontman Julian Assange. Some think the site is heroic, some think it is compromising the positions of diplomats, and some think its is a cancer that will lead to no more big secrets within large institutions. What do you think? With the claim that the next big batch of leaks will lay bare the sins of a major U.S. bank, we can all agree that Wikileaks is definitely something to keep our eyes on. There was a lot of contention over this supreme court decision, as it basically gives corporations a lot of the same rights as individuals when it comes to political contributions. So far we have witnessed a lot of anonymous donors to elections in the previous cycle. Who knows what the ripple effects will be now that corporate money equals free speech? 1. Facebook replaced Yahoo as the 3rd largest internet site. 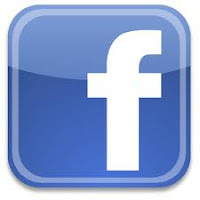 Not only has Facebook grown to all age and social groups, but the site continues to give users easy ways to connect, share and speak their minds. Creator Mark Zuckerberg was named Time Magazine's Person of the Year, and continues to orchestrate a major fixture in our world. It's likely just a matter of time before Facebook moves up from #3. While we can never forget the Haiti tragedy and how the nation came together. I still remember the exact moment and where I was when Lebron decided to "take his talents to South Beach!" Such a laughable moment! Good list!